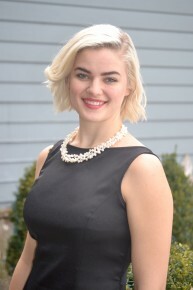 Vocal Performance major Chloe Boelter, a junior from Algonquin, Illinois, has been awarded an Indianapolis Jazz Foundation scholarship. Boelter, who also plays the piano and has produced two solo albums, has performed as a vocalist with the Butler Jazz Ensemble since 2014 and also is a member of a jazz combo. She is one of five central Indiana college students to receive the $1,000 award from the foundation, which works to preserve the legacy and promote the future of jazz in Indianapolis. 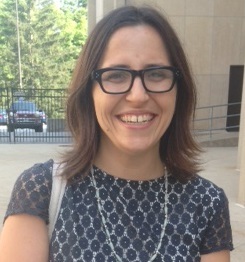 After graduation, Boelter plans to take a year in Chicago to record more and research graduate schools. She also will look into travelling and performing within multiple genres, including jazz, musical theater, or opera. Hemingway Foundation/PEN Award winner NoViolet Bulawayo will speak on February 23 at 7:30 p.m. in the Atherton Union Reilly Room as part of Butler University’s spring 2015 Vivian S. Delbrook Visiting Writers Series. Bulawayo is the author of We Need New Names (May 2013), which has been recognized with the LA Times Art Seidenbaum Award for First Fiction, the Pen/Hemingway Award, the Etisalat Prize for Literature, and the Barnes and Noble Discover Award (second place), as well as been selected for the National Book Foundation “5 Under 35” list . We Need New Names was shortlisted for the Man Booker Prize and the Guardian First Book Award and selected to the New York Times Notable Books of 2013 list, the Barnes and Noble Discover Great New Writers list, and others. 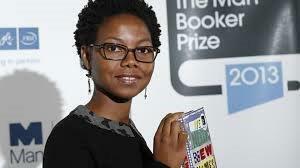 Her story “Hitting Budapest” won the 2011 Caine Prize for African Writing. She earned her MFA at Cornell University, where she was a recipient of the Truman Capote Fellowship. She was a Stegner Fellow at Stanford University, where she now teaches as a Jones Lecturer in Fiction. She grew up in Zimbabwe.